Let’s be honest; everything you could ever need to know can be found on the internet. In fact, if you want top-notch parenting information, you don’t need to look any further than this website. But sometimes, the internet just doesn’t cut it. Occasionally, we want a tangible source of information that we can hold in our hands. Maybe our kids have claimed the iPad as their own. Or, clicking on one of those annoying popups installed a bug on your computer. Perhaps you are just tired of staring at a screen. No matter what your reasoning, there are still many perks of print publications. And if you are relying on magazines for your information, you want it to be the highest quality possible. Not all magazines are created equal. You can’t just grab something off the newsstand and innocently follow the advice you read. That’s why we got some professional help. We contacted Priority One Clearing Services, a magazine subscription clearinghouse. Apparently Priority One Clearing offers their advice about magazines quite frequently! 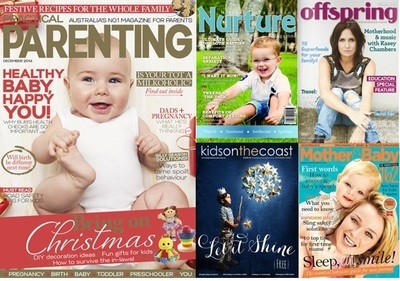 So, the magazine aficionados at Priority One Clearing helped us find five of the best Australian parenting magazines. Here are the best local magazines recommended for parents. Practical Parenting is probably the most readily available and easily recognized publication on our list. This magazine has achieved national acceptance and does a great job of covering all potential parenting issues. 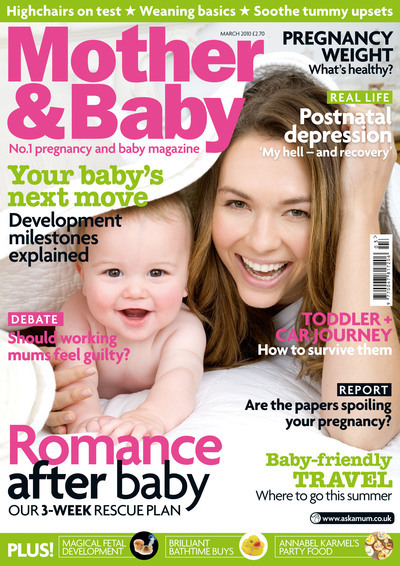 Readers can grab a copy of this magazine while still considering parenthood. There are tips on conceiving, fertility, and more pre-conception issues. From there, the magazine has got you covered until the kids turn five! Every pregnancy issue is address, tips are provided, and real-life stories are shared. After birth, readers can still benefit from the age-appropriate information. This monthly magazine has a $5.99 cover price, but a year-long subscription costs less than $50. 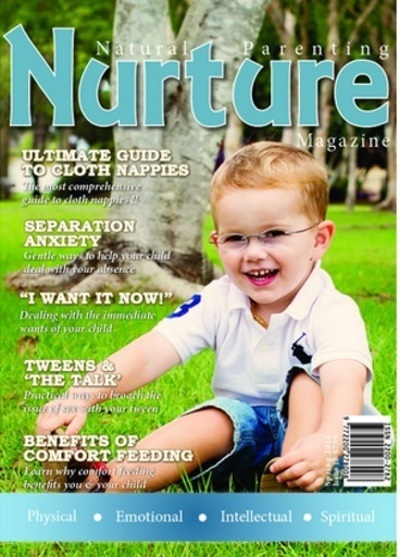 Nurture claims to be Australia’s best natural parenting magazine. This quarterly print publication is the only one of its kind. The magazine covers obvious natural parenting topics like attachment parenting, conscious parenting, breastfeeding, organic gardening, and babywearing. Both readers and dads offer their insight to the publication. There are also activity suggestions, recipes, and book reviews. Nurture promises to provide thought-provoking, evidence based pieces that address the physical, emotional, intellectual and spiritual development of children. Mother and Baby is another magazine that takes parents from pregnancy to preschool. It features real-life stories from fellow parents as well as advice from experts in the field of child development. Other modern parenting tips are included—like pregnancy fashion and money-saving suggestions. This magazine is published six times a year and comes with a $40 price tag. Kids on the Coast claims to be the longest established regional parenting magazine. Pick up a copy of this free magazine the next time you are out and about in Queensland. There are several things that set Kids on the Coast apart from other regional magazines of its kind. First, there is a unique blend of informative, serious articles and light-hearted, relatable pieces. There are also high quality competitions and giveaways mixed in with helpful product reviews and holiday destination suggestions. Plus, everyone appreciates the local information regarding parent-friendly things to do and places to go. This is another local publication. Offspring Magazine is a quarterly magazine with issues specific to both Sydney and Perth. Modern parents will appreciate the practical, relatable information provided in this magazine. The real-life stories make parenting seem more manageable! 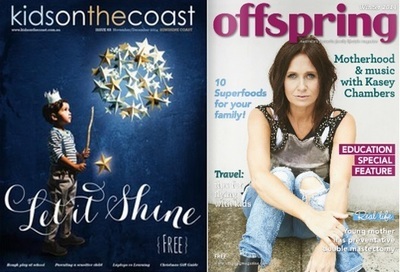 The publishers of Offspring Magazine say the writing is done by parents, for parents. Plus, there is an abundance of local resources. Find great information about family-friendly products, destinations, services, and more. What do you think of our list? Have you read any of these magazines? What did you think? Do you have any other suggestions we left off the list? Let’s chat in the comment section! I am a big fan of the Kids on the Coast Magazine. In addition to having it for Gold Coast and Sunshine Coast, they have a Kids in the City magazine for Brisbane too. For a free magazine, they have a tonne of great information on babies to teenagers and I always refer to the mag to get ideas on what to do with my son, the online holiday eguide they have available at the moment has been great. They also have heaps of great stuff on their website and Facebook too.